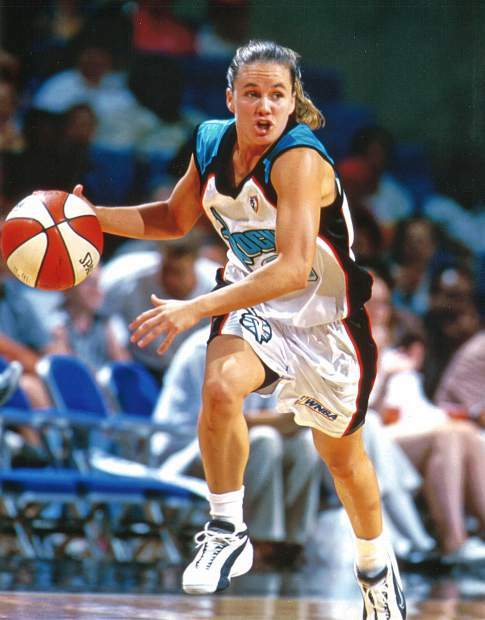 Tricia Bader Binford, shown here as a member of the WNBA's Cleveland Rockers, played five season in the WNBA and two additional years in the Australian NWBL. Tricia Bader, No. 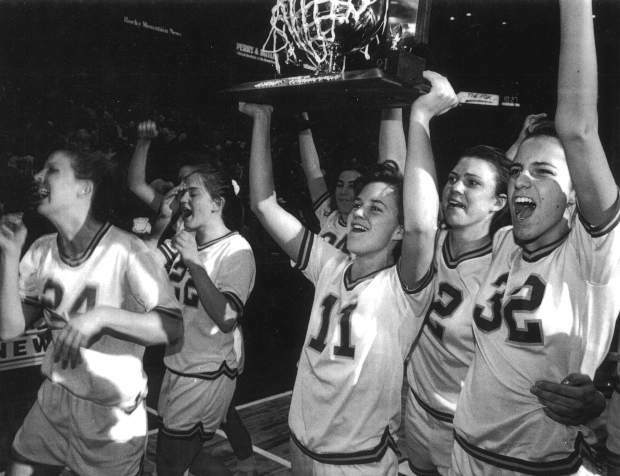 11, hoists one of the three Colorado girls basketball championships she helped her Rams win from 1989-91. 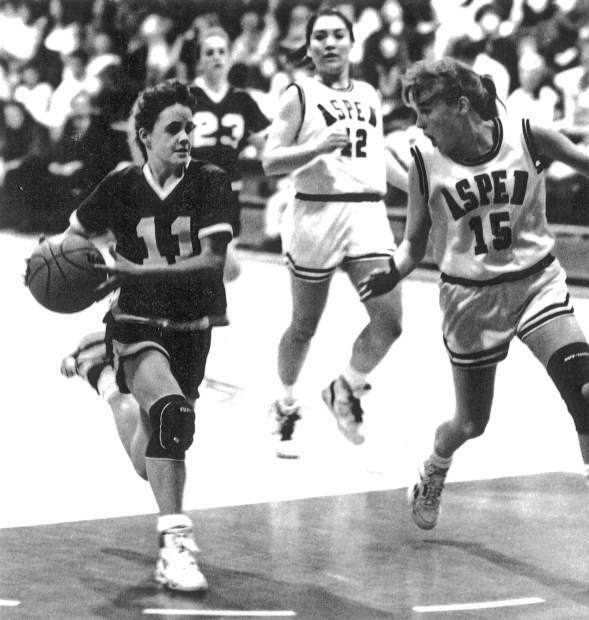 Tricia Bader dribbles past some Aspen defenders during her high school playing years. 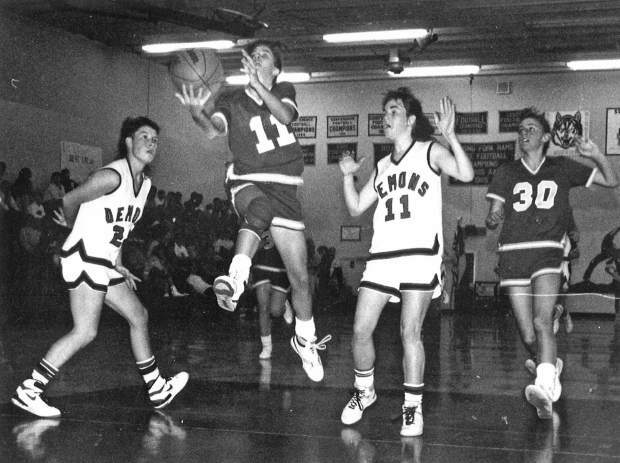 Tricia Bader takes it to the hoop against the Glenwood Springs Demons during her high school playing days. Thanks to a terrific athletic career for the Roaring Fork Rams from 1989-91, Tricia Bader Binford, then known as Tricia Bader, will finally have her name etched in Colorado High School Activities Association history Wednesday night in Denver. The current Montana State Bobcats’ women’s basketball head coach heads into the CHSAA Hall of Fame as a member of the 2017 class. A three-sport athlete in basketball, volleyball and track during her high school years, Bader racked up the hardware for the Rams as a five-time state track champion and three-time all-state basketball player who led the Rams to the 1989, 1990 and 1991 state basketball titles. The first two titles came at the Class 2A level before the Rams moved up to 3A in 1991. Bader was a three-time all-state player during that run, and the Colorado player of the year as a senior. “My first reaction [hearing the news] was that I was just overwhelmed and completely humbled to be part of that group and be thought of and nominated,” Bader Binford said before a recent Montana State practice via cellphone. Bader Binford won the 1991 Rocky Mountain News’ Steinmark Award, and RFHS has named its “Three-Sport Athlete Award” after her. Following her time at Roaring Fork, Bader Binford went on to star at Boise State University for the Broncos before carving out a professional career in the Australian league and then the WNBA with the Utah Starzz and the Cleveland Rockers. Bader’s Australian stints were with the NWBL’s Brisbane Blazers, Latrobe Demons and Launceston Tornadoes. 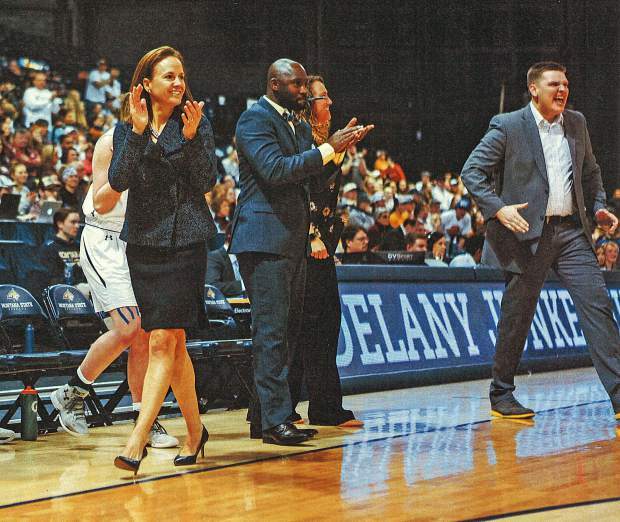 During her time Down Under, Bader set a single-game scoring record with 67 points — part of a quadruple-double along with 14 assists, 10 steals and 10 rebounds in 1997. Currently, Bader Binford is the head coach at Montana State, where she was the Big Sky Conference Coach of the Year in 2015-16. As the head coach of the Bobcats, Bader Binford has taken part of her time as a member of the Rams in Carbondale and helped establish a similar culture at Montana State with the girls program. “Want to build an environment that breeds success,” Bader Binford said. “When you look at the run and the experience we had [at Roaring Fork], it wasn’t me individually, it was the program. Kids were in there on the weekends and putting in extra work. The entire team was selfless and put the team first. Everybody’s strengths were brought to the program, and we had true, selfless teams in Carbondale. For as great as Bader Binford was on the court, not just in Carbondale but around the world, she was equally great off it, according to teammates and former coaches, maintaining great character and inspiring many young women in communities to become involved in sports. “I’m so proud of her, and this is such a well-deserved recognition,” said current Roaring Fork boys basketball coach Larry Williams, who was an assistant for the girls team during Bader Binford’s time. Bader Binford will be officially inducted into the CHSAA Hall of Fame with the Class of 2017 Wednesday night at the Radisson Hotel-Denver Southeast. Individual tickets may be purchased for $50 each by contacting CHSAA. The festivities get underway at 6:30 p.m. Seating is limited.